goes rogue to excite reluctant writers! This 18-week journal writing, vocabulary and illustration program is full of kid-rousing topics and gross-out humor to spark your student’s interest and creativity. …and many more hilarious and revolting topics! If you struggle to get a child excited to learn to write any type of paragraph or essay, or even string a few words together in a sentence with a capital letter and a period, REVOLTING WRITING is for you! As the homeschool mom of three boys, I know what it is like to battle a stubborn refusal to write. Even a child who loves to read may hate to write, feeling pressured with structure, grammar, and boring prompts. A child who hates the idea of writing is likely to be found moaning and wailing on the floor if asked to write an essay about what kind of tree they would be or their favorite family outing. But a miraculous thing happened when, at my wits end, I asked my son to write about the contents of the toilet. I know, disgusting, right? At first, he just laughed. And then, upon realizing I was serious, began writing the most revolting paragraph he could muster. It was magical. He was putting words together in actual sentences. Though I gagged reading his work, I couldn’t have been prouder of his creativity and effort. He loved that I was appalled. Through laughter I was able to help him edit his grammar, spelling and sentence structure. When allowed to write about what excites or interests them, kids are more willing to try. Many boys get excited about sharing their love of video games, potty humor, sneaky tricks, weird creatures, and grossing others out with the unexpected. 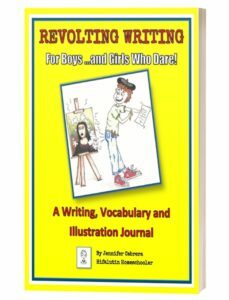 All these rousing topics, and more, are found in REVOLTING WRITING For Boys …and Girls Who Dare! We don’t have to aim for little Walt Whitmans right away. As kids mature their subject matter of interest will too. Any topic can be used to teach the basics of writing. Out of desperation, I reached my child and he learned to write and enjoy it. I hope this book brings laughter and a new enjoyment of writing to your child as well. **If you have any questions about this writing program or want to share your child’s art and success using REVOLTING WRITING, please contact me @ [email protected] I would love to hear from you! 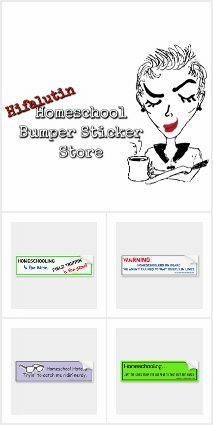 If you haven’t yet, check out my hilarious homeschool book for the whole family!